This is the first installment of a blog series on soil health challenges and innovations revealed through three case studies that are part of our ongoing Soil Health Benchmark Study, a citizen-science project we began in 2016. On a chilly day this past March, several members of our staff and a group of approximately 15 farmers gathered in Red Earth Farm’s harvest and packing shed. We were there to take a close look at the farm’s soil health strengths and challenges by examining the custom soil health benchmark report I assembled with our staff and collaborators. This report contained Red Earth’s most recent soil test results provided by the Cornell Soil Health Lab, and data about other soil health indicators we’re measuring (see “Our methods”). The 91-acre vegetable farm in Berks County, Pennsylvania serves a 600-member CSA and several wholesale accounts, including Whole Foods. Owners Michael Ahlert and Charis Lindrooth have operated the farm at this property since 2008 and, while the farm isn’t certified organic, Michael and Charis largely employ organic growing methods. Farmers participating in our Soil Health Benchmark Study choose three fields that span their typical crop rotation. We collect soil samples from these fields in October, which we then submit to the Cornell Soil Health Lab. The lab assesses the samples according to a set of indicators covering physical, chemical, and biological aspects of soil health—such as available water capacity, aggregate stability, and extractable phosphorus. Cornell rates the soil samples on a 100-point scale (see image below) relative to thousands of other samples from similar soil types—in other words, a sandy loam will be rated according to a different set of standards than a soil high in clay. Like many of the other farms participating in our Soil Health Benchmark Study, Red Earth showed strong scores for most of the soil health indicators measured by Cornell’s Soil Health Lab. 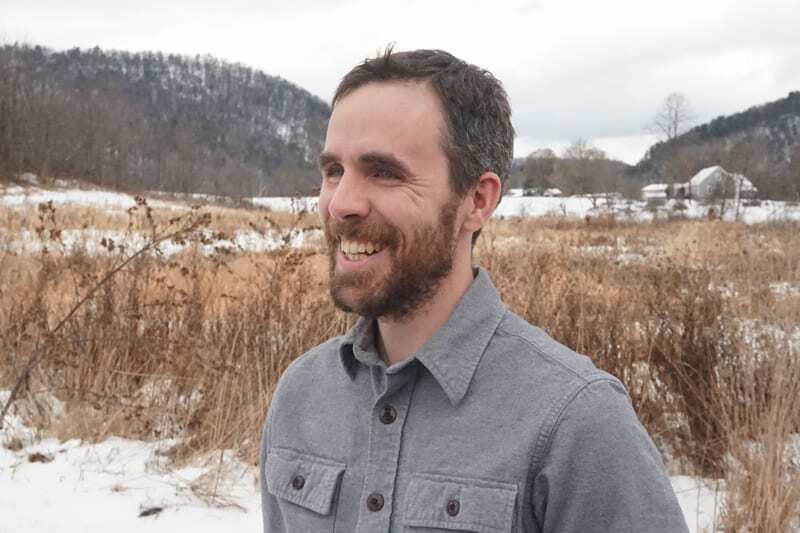 Of note were the farm’s impressive biological indicators—its soil respiration (a measure of microbial activity in the soil) fell into Cornell’s “excellent” range, and its percentage of organic matter was in the “optimal” range. However, while the farm’s overall soil health was also rated “optimal,” its test results revealed a striking challenge in the chemical realm: excessive phosphorus. One field at Red Earth had phosphorus levels as high as 791 ppm (parts per million), which led the farm to receive the lowest Cornell rating of zero for that indicator. Although interpretation varies across soil types, optimal phosphorus levels are typically in the range of 3-25 ppm, with levels above 35 ppm becoming excessive. While excessive phosphorus is a real constraint for Red Earth’s soil, the problem is certainly not unique to them: Excessive phosphorus is proving to be a common soil health challenge among the other farmers participating in our study, as well as the farmers who attend our field days. Through runoff and erosion, excessive phosphorus can leak from fields and pollute streams and estuaries by causing blooms of algae that exhaust oxygen from the water and thereby kill other life forms. At the global scale, phosphorus is a nonrenewable resource that can be traced back from manure to the crop farms that produced the livestock feed to phosphorus fertilizers that are mined from a limited number of deposits across the globe, and then shipped to crop farms. So, once phosphorus is lost to rivers and diluted in the vast ocean, it won’t be available again to future generations. For vegetable farmers, excessive phosphorus can also significantly weaken crop vigor. At ppm levels in the high hundreds or thousands, depending on soil type and crop, phosphorous can inhibit a plant’s uptake of iron and zinc. Deficiencies in these micronutrients can inhibit growth or increase susceptibility to pests. Tip: If you know your soil has a high level of phosphorous, you can determine if your crops are deficient in iron and zinc by submitting plant samples to a lab that conducts plant tissue analyses. Several of our member farms have found Logan Labs and Waypoint Analytical to be a good source for these analyses. Where were the large quantities of phosphorus coming from at Red Earth Farm? Pennsylvania leads the country in mushroom production, which provides local farms an abundant supply of mushroom soil—a type of compost created from the waste products of mushroom farms. Mushroom soil can be a useful source of organic matter and nutrients for vegetable farms. By mass, it contains about 1.1 percent nitrogen and 1.3 percent potassium, which can be valuable for horticultural crops. However, it also contains about 0.39 percent phosphorus. If a farmer is using mushroom soil as a source of nitrogen or fresh organic matter, it can be easy to over-apply phosphorus. 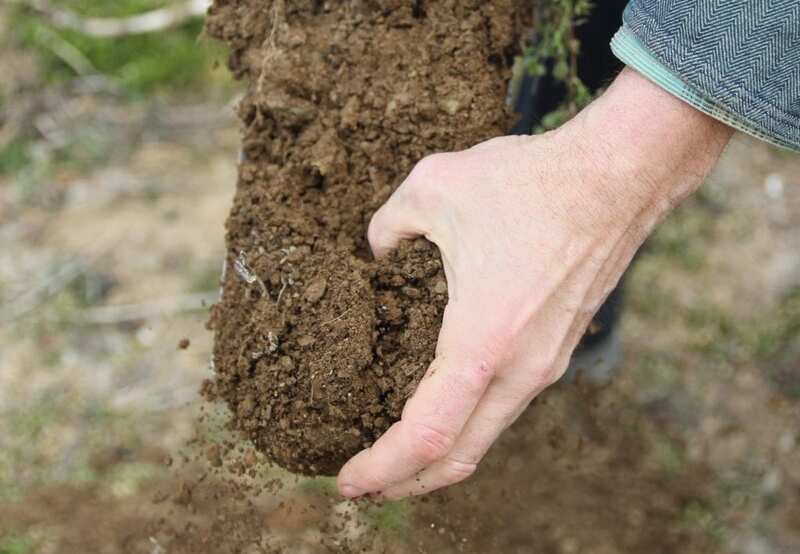 At Red Earth, mushroom soil has been used as a key soil amendment. We learned that approximately twice every three years, most fields at the farm receive an application of mushroom soil at a quantity of 12 tons per acre. During the field day discussion, we did some quick math and estimated that Red Earth is adding 265 lbs of nitrogen and 94 lbs of phosphorus with every application. To put these numbers in perspective, tomatoes, which are a fairly heavy nitrogen feeding crop, require only 80-100 lbs of nitrogen per year but little to no additional phosphorus, depending on existing levels of phosphorus in the soil. At this rate, it’s easy to see how phosphorus accumulated in the soil at Red Earth. Bob Schindelbeck from Cornell University’s Soil Health Lab demonstrates how to properly take a soil sample at Red Earth Farm. Interestingly, while two of Red Earth’s three fields were well into the excessive phosphorus zone, the third field’s soil test results showed a significantly lower level of phosphorus at 36 ppm. While this amount is still considered excessive for Red Earth’s soil types, it’s low enough to probably not negatively affect crop growth. Since this field received the same amount of mushroom soil applications as the other fields, why was its phosphorus level so much lower? Red Earth’s farm manager at the time, Kim Butz, shared a possible explanation. This outlier was the most steeply sloping field we sampled, and therefore, she reasoned, some phosphorus is being lost through erosion. Phosphorus does not generally percolate through the soil like nitrogen and other nutrients; instead, it binds tightly to soil minerals. Therefore, phosphorus is primarily lost from soils through surface runoff. Erosion is clearly not a sustainable solution to excessive phosphorus. The lower phosphorus level on this field suggests that erosion might be a problem here, which Red Earth can address by adjusting its crop and cover crop rotations. Kim also mentioned that the farm planted spring alliums in this field in 2017. Several other farmers commented that they too observed their lowest phosphorus levels in fields where alliums were planted. As it turns out, some research has suggested that onions do take up more phosphorus compared to other crops including wheat, ryegrass, spinach, or canola. In the early years of establishing an organic vegetable farm, amending soil with off-farm organic inputs like mushroom soil or composted manure can be an effective way to infuse soil with organic matter, supply nutrients to crops, and build microbial communities. But as Red Earth Farm’s experience shows, down the road it’s easy to wind up with off-the-chart levels of phosphorus. Moving forward, Red Earth can try dialing their use of mushroom soil way back. Since one of the fields at Red Earth showed soil protein levels in the “excellent” zone according to Cornell’s soil health test, it seems at least some of the fields have a significant bank of nitrogen within the existing soil organic matter that crops can draw from. Considering this, some farmers reviewing Red Earth’s benchmark report suggested the farm could cut its mushroom soil applications by 50 percent or more without noticing a decline in production. 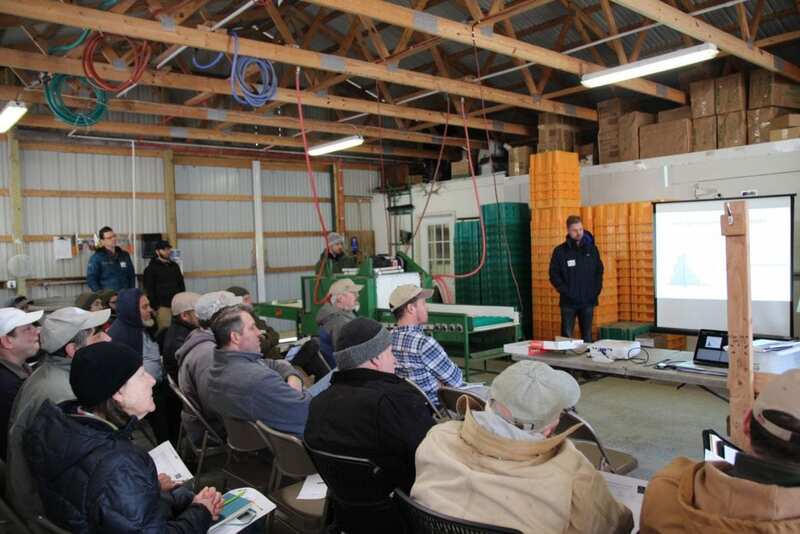 Other farms contributing to this research have moved more fully away from manures or compost for nitrogen, and use alternative OMRI-approved products to supply supplemental nitrogen without bringing along unneeded phosphorus. Some popular options include peanut meal, Nature Safe (13-0-0), and Blue N from Fertrell (5-1-1). Red Earth could further boost its soil protein levels by adding more legume cover crops into their crop rotation—only two of the three fields we sampled in 2017 had a winter cover crop, placing the farm well below the median “days of living cover” benchmark of 240 days accomplished by the other farmers in participating in the study. While Red Earth finds it difficult to find a successful window for sowing legumes in the fall, several farmers suggested that working in sun hemp before fall Brassica planting could be a way to cultivate more nitrogen from legumes. Thanks so much to Bending Bridge Farm for openly and generously sharing their soil health data with farmers everywhere in the name of growing the soil health movement. Also thanks to Bob Shindlebeck and Aaron Ristow at the Cornell Soil Health Lab for their help facilitating our soil health field days.